If there is one thing that the Kent and East Sussex Railway (K&ESR) has in abundance it is character. 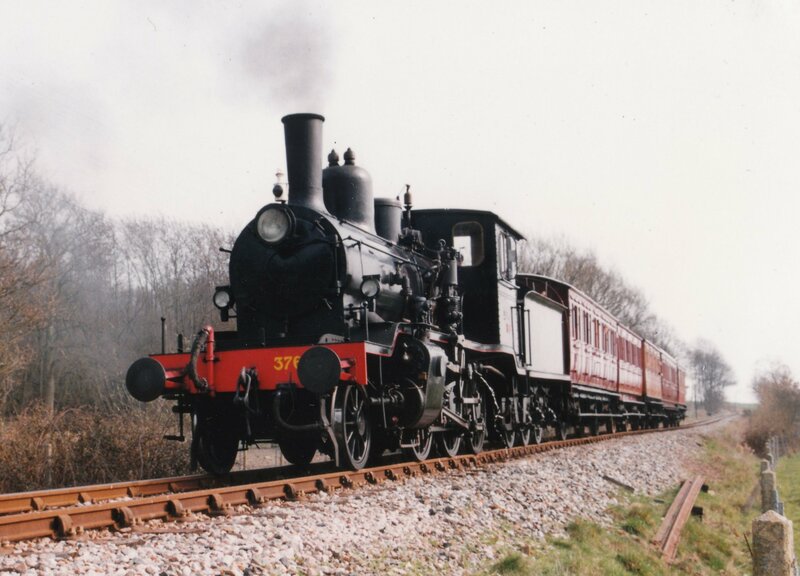 The line that currently runs from Tenterden to Bodiam in south east England is a light railway that originally opened in 1900 (named the Rother Valley Railway). It was a result of the 1896 light railways act that allowed construction of cheap, lightly laid lines. Very cheap in fact – the K&ESR bought a variety of secondhand stock – anything light that they could get for a good price! Colonel Fred Stephens built and managed the line, as he did many other idiosyncratic branch lines around the country. I won’t go in to too much detail, but one further point is relevant – K&ESR was an independent line from 1900 to 1948 (when it was nationalised). It was never part of Southern Railway and it therefore did its own thing for nearly half a century. When I grew up near to the K&ESR in the 80’s and 90’s, the line’s Norwegian tender engine (fleet number 19) was something of an enigma in my young mind. I understood that the line only had small locomotives because it was a light railway and that as most small locomotives are tank engines; that is all I expected to see. But I also knew that there was a tender engine on the line and very rarely would glimpse it’s frames in Rolvenden works. The prospect of seeing a tender engine on this little line in the rural Kent countryside alongside tank engines seemed almost unbelievable, even if it was only a little tender engine! It’s funny how a rail enthusiasts mind works! 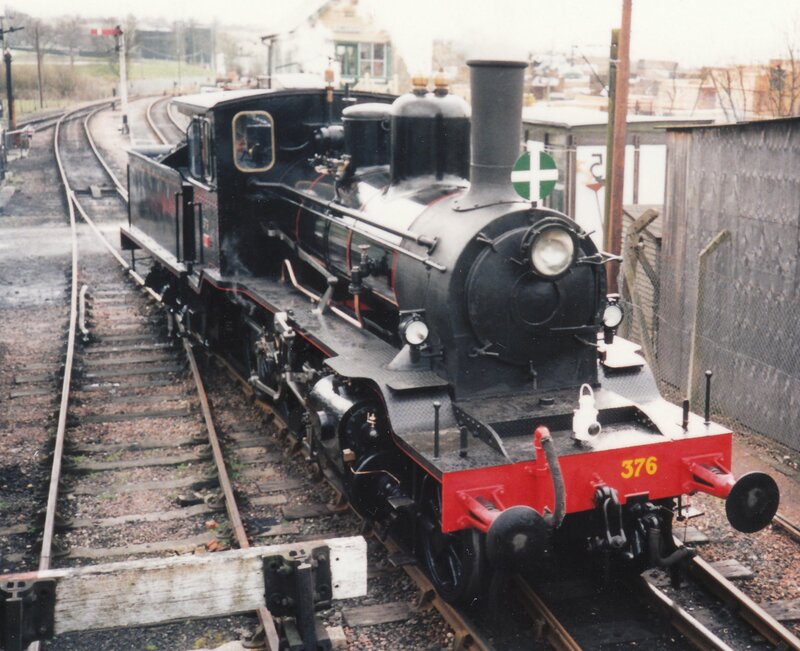 The locomotive (number 376) itself is rather special and very different in appearance to what you would usually find in the UK. Although it was used by the Norwegian State Railways (or in Norwegian Norges Statsbaner AS, usually abbreviated as NSB) it was built in Sweden by Nydquist and Holm in 1919. 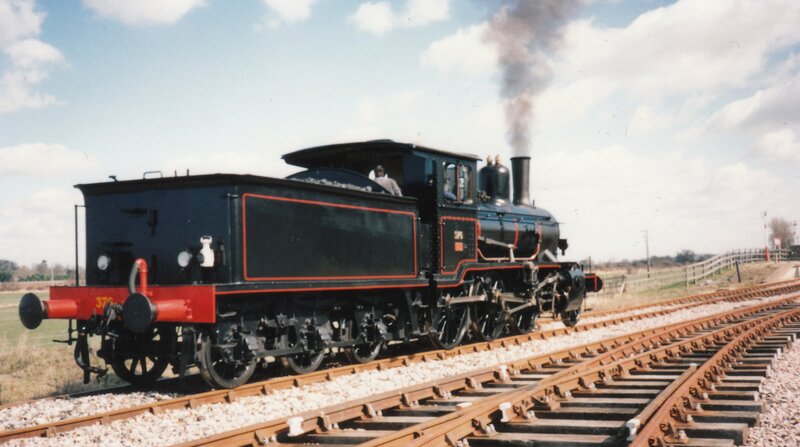 It has a Scottish link too, as the first three members of the class were built by Messrs Dubs and Company of Glasgow and (believed to be) designed by David Jones of the Highland Railway. The locomotive spent its career in central Norway on the Meråker Line, (or in Norwegian the Meråkerbanen railway) – which was a very different landscape to the K&ESR! This ran from Trondheim S to Östersund. One amusing anecdote (from the point of view of its English translation) is that it ran through a town called Hell! Number 376 was one of the last of four working steam locomotives to be used by the Norwegian State Railways and withdrawn in 1971 when it was purchased and ran to Oslo (in steam) for shipping to the UK. It ran for a small period of time on the K&ESR in the 1970’s before it was withdrawn for a major overhaul. 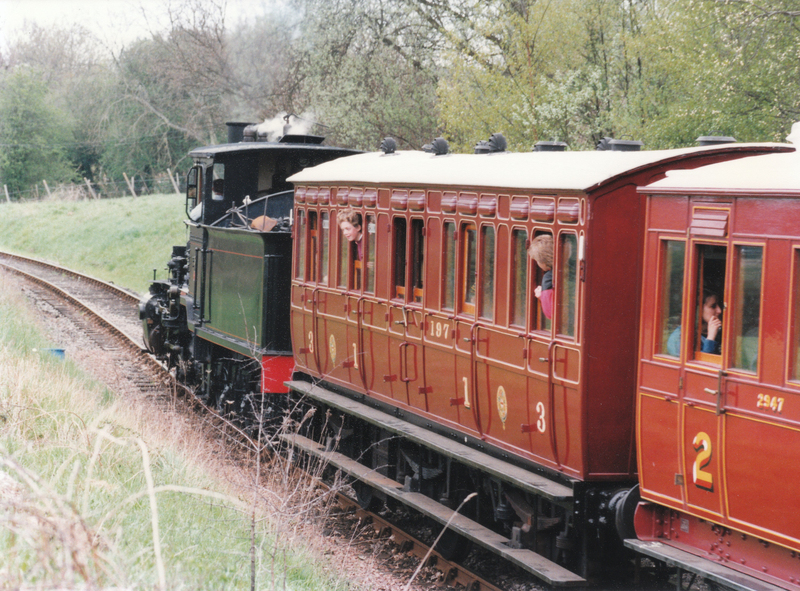 The locomotive is full of character, with it’s enclosed cab (see above) and front headlight. Despite this, overhauling was an expensive job for a locomotive that lacked the power of the Austerities. The K&ESR had financial troubles in the late 1970’s and therefore 376 was not a priority. 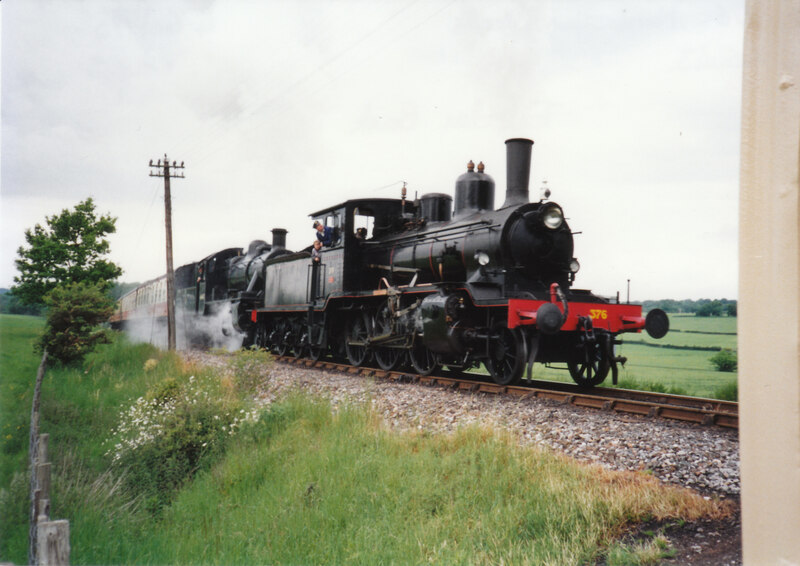 For this reason the Norwegian locomotive trust was formed to get 376 running again. 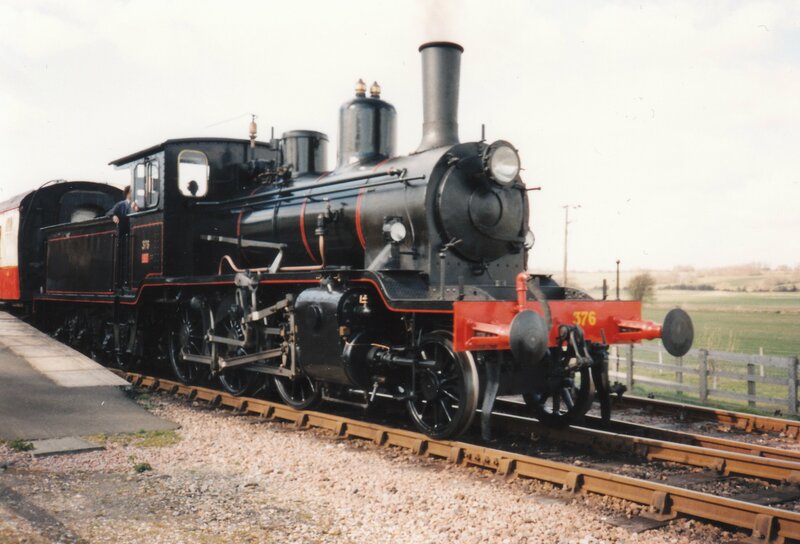 Being the only tender engine on the line and being from the European continent, it had (and has) many fans, enough for it to eventually be restored into working condition. 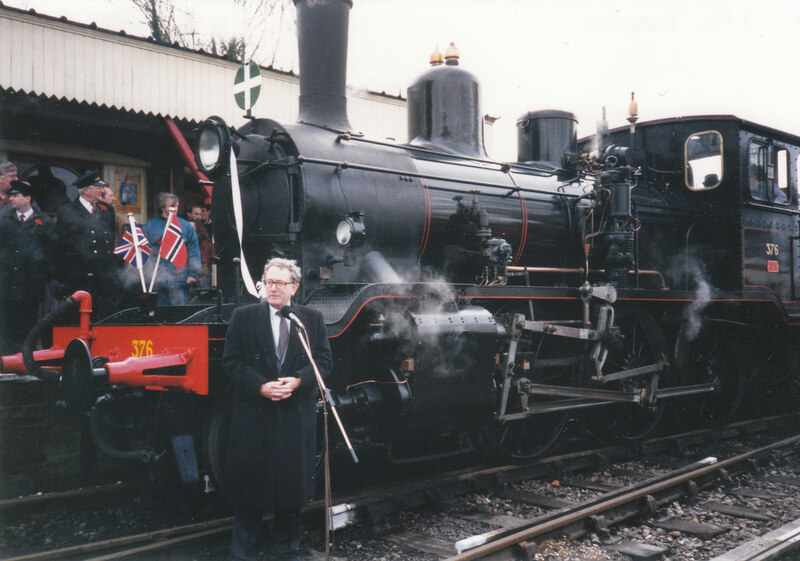 I have very fond memories of seeing 376 recommissioned in 1995 by His Excellency the Norwegian Ambassador (below) who is the patron of the trust. Seeing a tender locomotive on this light line was quite an experience, but I would never have predicted what would follow! 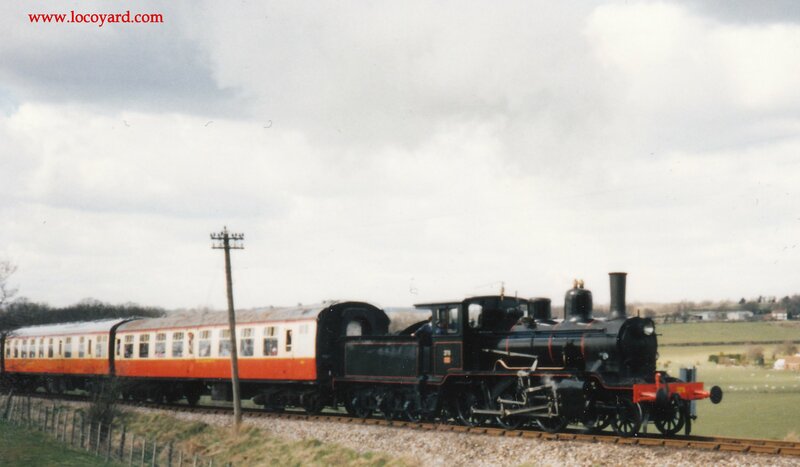 Later the same year, the line had a visit from another tender engine, Ivatt 2MT mogul 46443. This was paired up with 376 and double-headed a train. 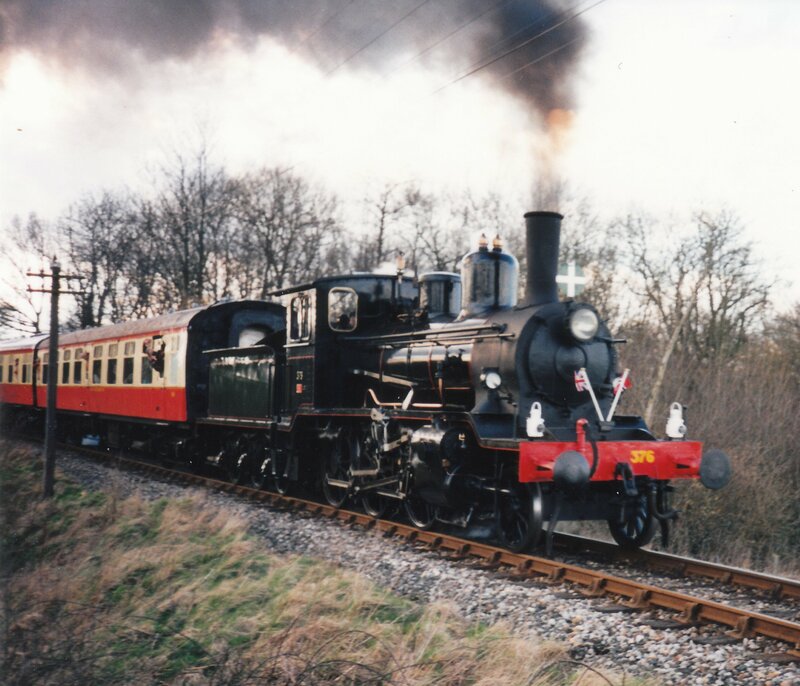 From having never seen a tender locomotive on my little local branchline, I now had the sight of two tender engines tearing up Tenterden bank. It’s moments like this that stay with you and fortunately I’ve the picture to back up the memory – see below! In 2013, 376 re-entered service after being withdrawn from service for an overhaul. Below is a series of photographs taken of this locomotive since it’s latest overhaul. What a lovely little engine. It’s small and big at the same time. Surprised there are two here though. I knew of King Haakon and I assumed this was he until I read the full article. Surprised in a very good way!